by Darlene Tonelli, September 6, 2018. Doing what’s right is not always easy. We live in a society where anything or anybody who stands up or stands out is criticized for being too loud or too smart or too fat or too thin. 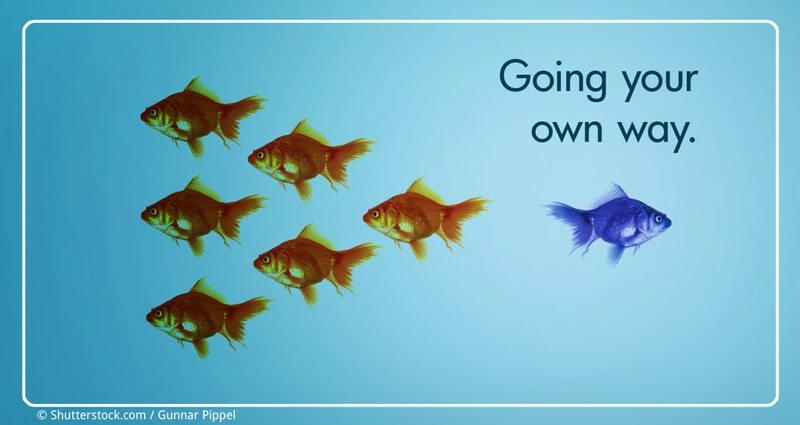 Following the crowd is far easier. However, there are times in our lives when we have to stand up and do what we know in our hearts we need to do, even if it makes some waves, even if not everyone approves. This blog series on finding happiness and freedom in law has focused on reaching that point in your career where you feel lost and stuck and how it’s possible to free yourself from both. Making a change means writing a new story for yourself and then following the path needed to get there. I’ve done it. My husband has done it. Everyone can do it – but part of the process is to first get comfortable with the idea that you may not get a lot of support for doing it, at least at first. This process is easier if you ask yourself whether or not you’re someone who needs or wants approval from others – or are you willing to do what’s in your best interest and live the life you want to live. Ask yourself: Are you the kind of person who wants approval? Or needs approval? If so, you are not alone, but it may be one of the traits that prevented you from making positive moves earlier in life. Now you’re here. Feeling stuck. And no one is going to come from above and deem you happy or successful or worthy. Only YOU can do that. There is an expression that says, “If 40 million people believe in a dumb idea, it is still a dumb idea.” It doesn’t matter how many people believe working at a Big Firm or in a steady (but soul-draining) in-house job is the best or only way to make a decent living in law – it doesn’t make that true. The same principle applies to those who think you’re “making a big mistake” by switching jobs. The only person who is right is you. You’re the only one living your life. The Big Firm might be someone’s dream – if it’s not yours, you owe it to yourself to move on. Next week, the final post in this series will tie it all together and tell you where we’re going next.